This classic child's toy will keep children entertained. Skill is involved when you blow into the cup and try to balance the ball. Play solo or challenge a friend. 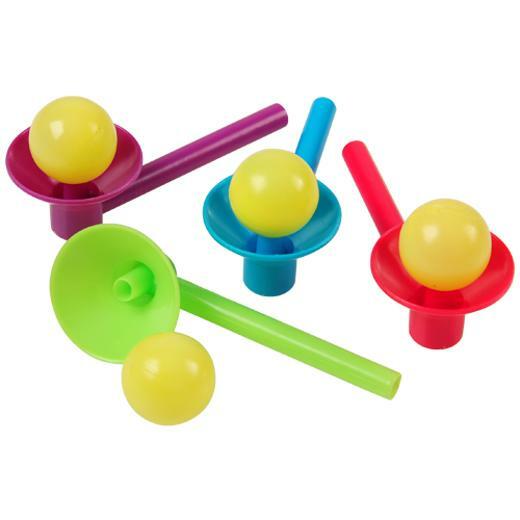 This ball and cup game is a great toy to put in a children's party favor bag. L: 7.9 in. W: 2.2 in. H: 9.35 in.